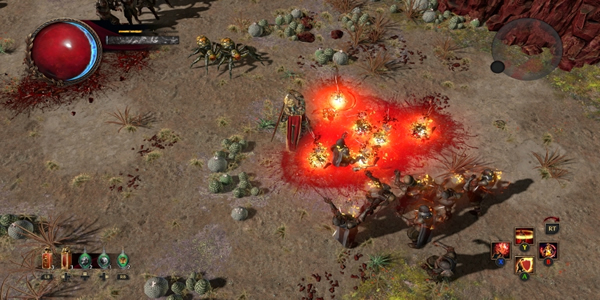 Path of Exile, the game currently is divided into two parts. Part one is the same four acts we already know, plus a new fifth act. Part two of the story is acts six through ten, which returns us to the same world as before, but with a different story and objective to complete. While I loved the game for the most part, the biggest gripe I faced was the constant server lag that plagued me to no end as I tried to make my way through. Gamers are keen on buying poe currency purchase now. There is something somewhat peculiar and minimalist, even Dark Souls-like, in regards to the storytelling. You play with an exile dumped onto a barbarous, inhospitable island to your offenses of the deed or thought from an oppressive empire. Once you've selected a character that's tied to class, such as the female ranger or male duelist, you find yourself washed up on a shore thanks to being exiled for crimes you’ve committed. Path of Exile was pretty much a PC exclusive for the longest, but now it's finally making it’s way to couch co-op fans everywhere. One of the sweetest things about the game is that it's free-to-play and one of the best examples of this genre. In Path of Exile, relax, listen to music, chat to friends, work on fine tuning a few builds whilst slaying countless demons in the most satisfying way possible. I'm also happy to admit the graphics here are very well done and even tend to offer more detail than Diablo 3 does, which is something you’ll notice as soon as you start playing. I also love the fact that this game runs at a buttery smooth 60 frames per second, which is always a plus in my book. As a free-to-play title it has garnered a sizable and passionate community over the years, with enough depth and content that it's essentially a full-priced game given away for free. Be sure to know more guides and tips, click for source.